4ALL: Ski mountaineering with mountain guide. No timing, no stress and open for everyone! According to the motto “4ALL”, in addition to the classic race format of the EPIC Ski Tour, there is the possibility to cover the stages without timekeeping and with a qualified mountain guide. The guides accompany the participants safely along the route in groups of 8-15 skiers – of course the rhythm is adapted to the conditions of the group! For the tour with the mountain guide you do not need a shovel, snow probe or arva. You don‘t even need a medical certificate, but you need to bring a homologated helmet. 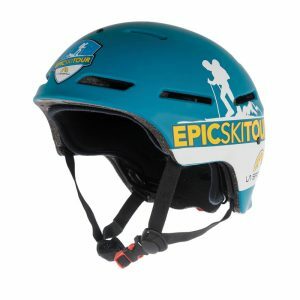 If you do not have a helmet, you can buy an EPIC Ski Tour helmet online on our website or at the event.